In production models, J.P. Britton celluloid mudguards and Dunlop Special lightweight steel Endrickpattern rims were fitted instead. The latest alloy fitments, Reynolds 531 lightweight tubing, pencil type stays, detachable chainwheels, and colourful "polychromatic" finishes and elaborate transfers (decals) made these among the most advanced and desirable sports machines of their era. 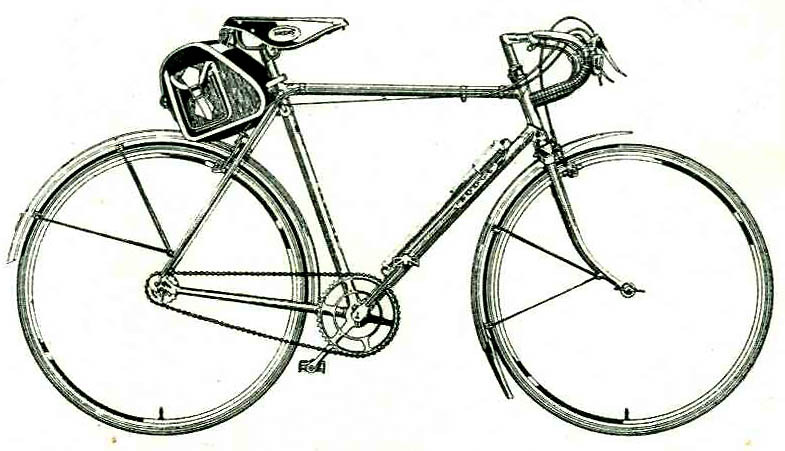 Suitable for roadracing, touring or time trailing, they had 71° frame angles and optional Sturmey-Archer gears including the new four-speed FW, FM and FC types and GH6 dynohub. The price was £19. 12 s. 10 d. (single gear).